PRG’s Winning Patents Workshops for 2013 are on the calendar for this Summer at the Hilton Pasadena in Pasadena, CA from July 9-12 and at The Westin Alexandria in Washington, DC (Alexandria, VA) from July 23-26. This Workshop is designed for less-experienced patent practitioners who want to learn how to write and prosecute more valuable patent applications that will provide better protection for their clients. Attendees will develop an understanding of recent Federal Circuit case law relevant to the impact of application preparation and prosecution on claim interpretation, as well as an appreciation of what ought to be said — and not said — in the specifications, claims, and responses to Office actions, and why. Attendees at this course actually save their firm or company money because they get critical training that would otherwise have to be provided by senior counsel, taking them away from billable work. This year’s Workshop has been completely updated to reflect the impacts of the changes introduced by the America Invents Act (AIA). The first-inventor-to-file regimen, introduced by the AIA effective March 16, 2013, has dramatically changed the criteria for determining patentability of inventions over the prior art through a revision of 35 U.S.C. §102. Yet, for many years to come pre-AIA §102 will continue to be applicable in determining patentability vel non of claims in many U.S. patent applications filed both before and after March 16, 2013, and the validity of claims in issued U.S. patents. Accordingly, all patent attorneys and agents must be intimately familiar with both pre-AIA and AIA §102 and know which applies to any claim undergoing scrutiny. How to determine whether pre-AIA or AIA §102 criteria are applicable in evaluating patentability of any claimed invention over the prior art. The nuances and ambiguities stemming from the “otherwise available to the public” provision added by AIA in new §102(a)(1). The five categories of exceptions in AIA §102(b)(1) and (2) that disqualify §102(a)(1) and (2) events from being prior art to a given claimed invention, and the requirements for establishing such exceptions during prosecution of applications before the USPTO. The important, subtle differences between the “effective filing dates” of claims undergoing examination and prior art in the form of published U.S. and PCT applications and U.S. patents. Consequences to evaluate in determining whether to file an RCE, CIP, or multiple applications when modifications have been made to an invention after the filing of an application. Maximize the Value of Your Patents with the Winning Patents Workshop! July 9-12, 2013 at the Hilton Pasadena in Pasadena, CA. 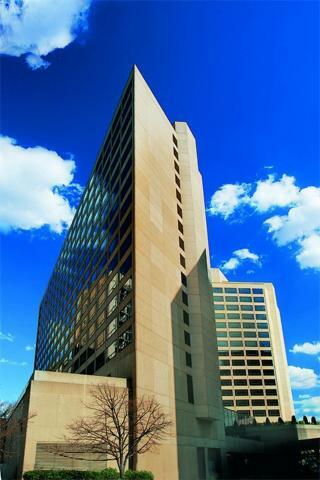 July 23-26, 2013 at the Westin Alexandria in Alexandria, VA. The Hilton Pasadena in Pasadena, CA. Develop an understanding of recent Federal Circuit case law, which resulted in claims being either unduly narrowly interpreted, and therefore held to be not infringed, or held to be invalid for lack of written description or enablement support due to improvidently-prepared and prosecuted applications. Register now to attend this outstanding course taught by patent industry leaders, and support your career growth and value in the marketplace by enhancing your skills and knowledge! Learn more about the hotel locations.